On January 8, 1815, Major General Andrew Jackson led a small, poorly-equipped army to victory against eight thousand British troops at the Battle of New Orleans. The victory made Jackson a national hero. Although the American victory was a big morale boost for the young nation, its military significance was minimal as it occurred after the signing (although before ratification) of the Treaty of Ghent that officially ended the war between the U.S. and Great Britain. The battle was fought before word of the Treaty reached the respective armies in the field. The anniversary of the Battle of New Orleans was widely celebrated with parties and dances during the nineteenth century, especially in the South. A traditional fiddle tune commemorating the event came to be known as "Jackson's Victory" or "The Eighth of January." Listen to a version of this tune played on fiddle and guitar by Bill and Jessie Robinson in the collection Voices from the Dust Bowl, 1940-1941. 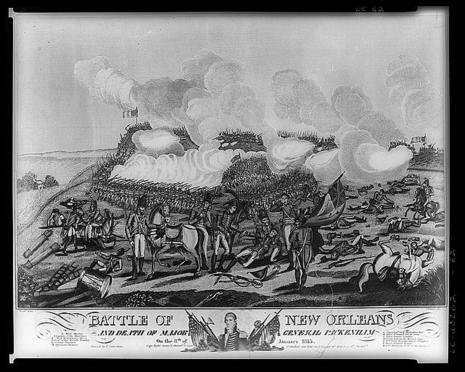 The Battle of New Orleans took place on January 8, 1815, and was the final major battle of the War of 1812. 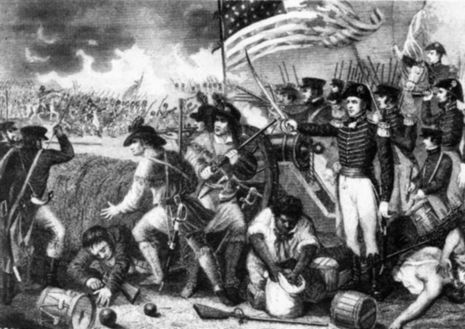 American forces, commanded by General Andrew Jackson, defeated an invading British Army intent on seizing New Orleans and the vast territory America had acquired with the Louisiana Purchase. The Treaty of Ghent had been signed on 24 December 1814, but news of the peace would not reach the combatants until February. The battle is often regarded as the greatest American land victory of the war.